Montana is one of the few places where wolves still naturally exist. Montana's wolves are gray wolves, also known as timber wolves. Wolves come in many colors ranging from white to black. They're highly social animals whose packs are actually extended family groups. They feed mainly on large mammals, especially deer and elk. 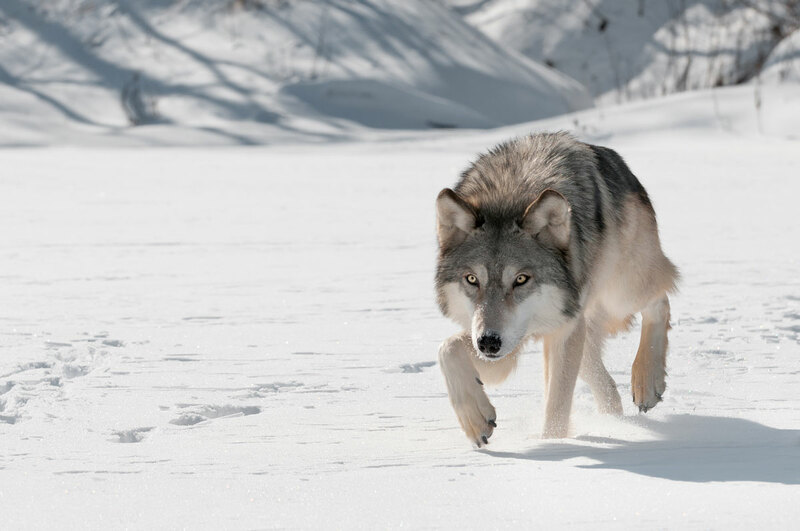 A wolf pack will usually have a hunting range of more than 250 square miles. Although the wolf population is on the rise in Montana, it's very uncommon to see wolves.